TScully and his fourteen-year-old charge, Wynn, are survivors on an Earth that has become a barren, lifeless wasteland. Together they travel across a brutal world in search of Wynn’s parents, only to find that the coldest place on Earth is the human heart. Their search has been sidetracked as the pair help Trina and her previously missing and presumed dead husband, Reynold, find some missing children. After a close call with some local savages, the group has come upon a frozen shipyard whose occupants are of the “shoot first, ask questions later” temperament. 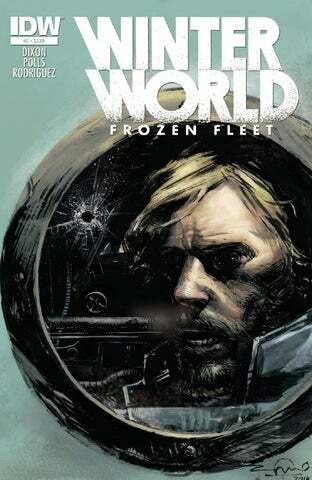 WINTERWORLD: FROZEN FLEET #2. JUNE 2015. FIRST PRINTING. Winterworld™ and © 2015 Chuck Dixon and The Estate of Jorge Zaffino. All Rights Reserved. © 2015 Idea and Design Works, LLC. 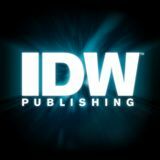 IDW Publishing, a division of Idea and Design Works, LLC. Editorial offices: 5080 Santa Fe Street, San Diego, CA 92109. The IDW logo is registered in the U.S. Patent and Trademark Office. Any similarities to persons living or dead are purely coincidental. With the exception of artwork used for review purposes, none of the contents of this publication may be reprinted without the permission of Idea and Design Works, LLC. Printed in Korea. IDW Publishing does not read or accept unsolicited submissions of ideas, stories, or artwork.